For the month of March, my students from my latest artist in the schools residency at Juneau Douglas High School are exhibiting their work in the gift shop at the Juneau Arts and Culture Center. The lovely folks at the JACC let us transform a portion of their lobby gift shop with the twelve collaborative ceramic and felt pieces the students made. The residency was an unusual collaboration. 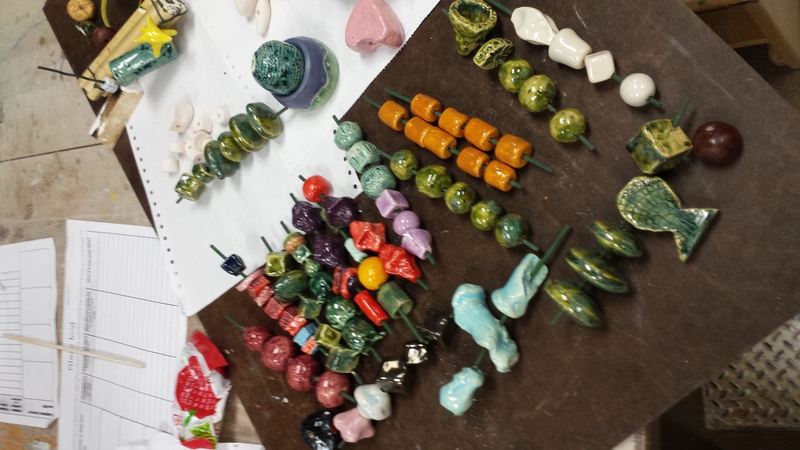 I taught wet felting to beginning ceramics students, and in the same two weeks they learned the basics of working with clay, while they made and glazed beads to go on their felted pieces. Heather Ridgway, the ceramics teacher, and I wanted to create a mixed media exploration of social pressures and communication. The students began the semester with a visit from members of the Sources of Strength suicide prevention program. The Sources of Strength exercises ignited thinking and conversation about the power of diverse relationships. 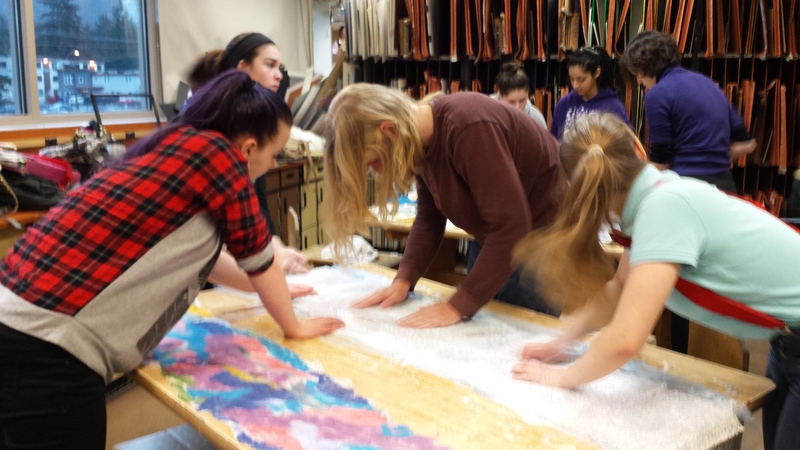 The classes created felted fabric and ceramic beads, designing and assembling their pieces collaboratively while reflecting on the artistic concepts of unity, emphasis, and juxtaposition. As we had hoped, their pieces demonstrate how the fragility and strength of wool echo the fragility and strength of human connection.